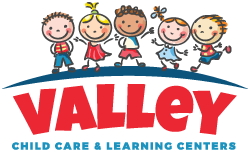 Some of you may be aware that Valley Child Care and Learning Centers has a special summer program this year. We will being traveling around the globe on an amazing ‘Stay-cation’ adventure! We will be exploring the culture of 9 different regions during the course of the summer: Italy, Mexico, Africa, Australia, Japan, The United Kingdom, Greece, Antarctica and Hawaii. We will be talking about each location in the classrooms and will be trying some different cuisines, talking about some history, learning vocab words and having lots of fun. Everyone will be receiving a Passport with the traveler’s picture and stamps received from each week of ‘travel’. For you to be involved with this great learning experience at home, we’re come up with a few options of family-friendly movies to watch that are related to the destination of the week. Even better, we have a large selection of children’s books about each of the destinations. The plot of the film involves an old, italian wood-carver named Geppetto, who carves a wooden puppet named Pinocchio. The puppet is brought to life by a blue fairy, who informs him that he can become a real boy if he proves himself to be “brave, truthful, and unselfish”. Pinocchio’s efforts to become a real boy involve encounters with a host of unsavory characters. Embark on thrilling adventures to South America and Mexico in two full-length movies, Saludos Amigos and its sequel The Three Caballeros together for the first time in one DVD collection! Join Goofy, Donald Duck and Walt Disney himself as they experience all the music, beauty and excitement Latin America has to offer. Walt and his team of artists, musicians, writers and animators say Adios! to the U.S. to explore the heart and soul of Latin America. In Saludos Amigos they travel to fun and exciting places and capture their adventures along the way. Next, it s Donald s turn to take a fantastic journey through these colorful lands with his friends Joe Carioca and Panchito in The Three Caballeros. With lighthearted dance and lively music, it s a celebration the whole family will enjoy! The Lion King tells the story of Simba, a young lion who is to succeed his father, Mufasa, as king; however, after Simba’s uncle Scar murders Mufasa, Simba is fooled into thinking he was responsible and flees into exile in shame and despair. Upon maturation living with two wastrels, Simba is given some valuable perspective from his friend, Nala, and his shaman, Rafiki, before returning to challenge Scar to end his tyranny. An animated adventure about a five-year-old boy and his relationship with a goldfish princess who longs to become a human. The film stars several big name actors including Tina Fey, Matt Damon, Liam Neeson, Bettie White and Cate Blanchett. If you have children in your home, you most likely don’t need this blog to tell you the plot of Frozen, but here you go just in case. =] Fearless optimist Anna teams up with Kristoff in an epic journey, encountering Everest-like conditions, and a hilarious snowman named Olaf in a race to find Anna’s sister Elsa, whose icy powers have trapped the kingdom in eternal winter. Hope you enjoyed this post! If you have other suggestions for parents, leave a comment below!